Like bicycles, filament bulbs are a design that has hardly changed over the last century. However, unlike a bicycle, which allows a person to travel at 10–15 mph, using no more power than they would require to walk, filament bulbs waste 95% of the electricity they use as heat. Indeed, in many homes the use of tungsten filament bulbs can account for half the annual household electricity bill. Or at least it used to before the sale of incandescent bulbs was banned following an EU directive. As well as the massive environmental benefit of reduced energy consumption, the change away from the use of incandescent bulbs has saved us money. For although a new generation of compact fluorescent, halogen and LED bulbs might cost more to buy, they last far longer and cost far less to use. The demise of the incandescent bulb does not mark the end of the story as lighting technology marches forward. The light-emitting diode (LED) technology that has transformed bicycle lights by providing cheap, bright and robust illumination is slowly but surely making its way into our homes. An LED filament bulb that draws only 2 watts of power, but emits the same light output as a 25-watt halogen incandescent bulb costs less than £3. On top of the energy saving, the bulb is capable of 150,000 hours of operation and/or 15,000 cycles. In other words, it outperforms a tungsten filament bulb in every respect. Energy efficient lighting is one of the small steps that we can take to reduce our carbon footprint. Join us over the following weeks and months as we explore other ways of greening our homes. Sign up to our weekly newsletter to get energy saving advice delivered straight to your inbox. Least energy-efficient option and the shortest lifespan, which can be as little as 750 hours. Extremely long lasting with a potential life of over 30,000 hours. However, this lifespan is only possible in applications where they are left on for long periods of time. Quality of light can be harsh on the eye if not obscured. 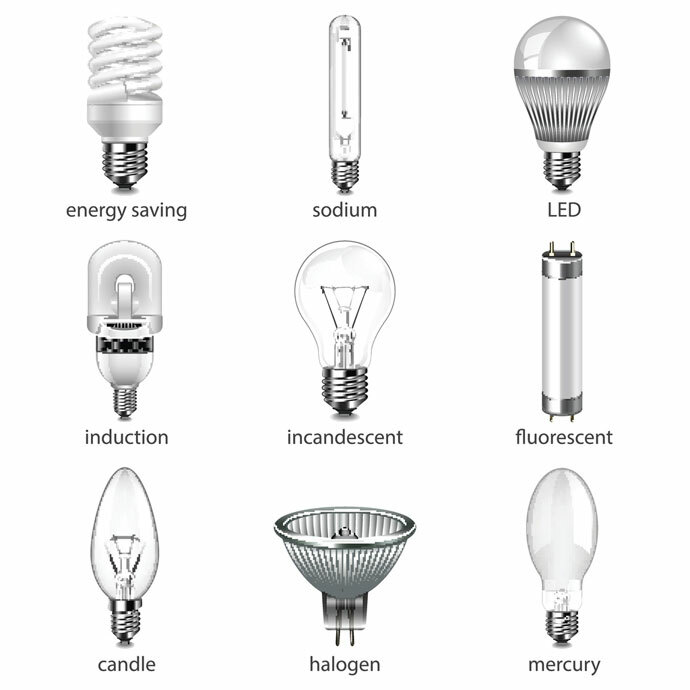 CFLs might not last as long as traditional fluorescent bulbs, but they offer a variety of colours and shapes. More efficient and longer lasting than incandescent bulbs, with a crisp light. Not the cheapest, but by far the longest-lasting and efficient option. Mercury vapour lamps are more energy efficient than incandescent and most fluorescent lights and boast a bulb lifetime of over 20,000 hours and a clear white light output. However, their warm up time of 4-7 minutes makes them unsuitable for domestic applications. The induction bulb is a gas discharge system in which the power to generate light is transferred to the gas within the bulb via an electric or magnetic field, thus doing away with the need for internal electrodes – an arrangement that extends the life of the lamp. A low pressure sodium-vapour lamp is a highly efficient light source, but its yellow light generally restricts its application to street lamps and the like. The Good Shopping Guide has named The ETA as Britain’s most ethical insurer for the third year running.